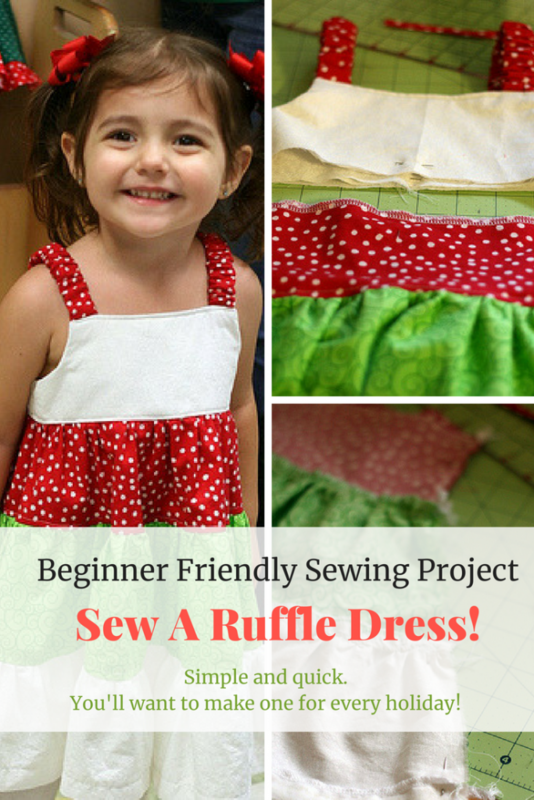 Check out this free tutorial for how to sew a ruffle dress! No pattern necessary. 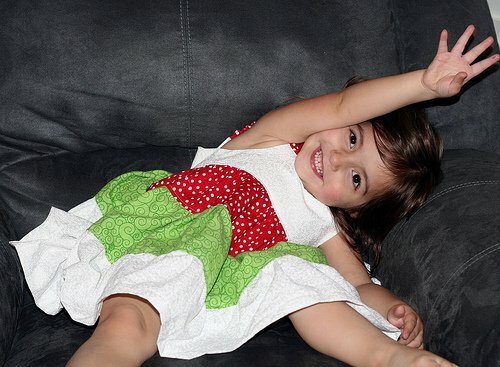 This ruffle dress tutorial is a great beginning sewing project. Make one for every holiday! Just change up the fabric colors/patterns. Learning how to sew was not an easy thing for me to do. I had to accept that I was going to fail…often. I had to come to terms with my seam ripper and I had to start small and work my way up. Once it clicked though, it was magic! 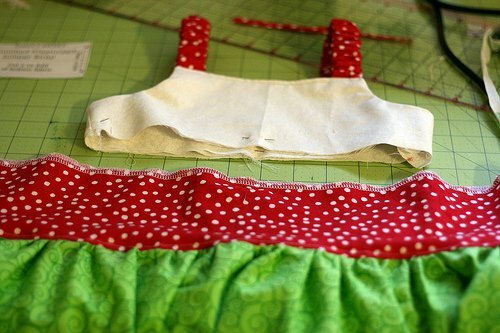 Now I love to sew all kinds of things, but my true passion is sewing dresses and skirts for my little girl. I sure hope my son doesn’t feel deprived (but he is well stocked in cool pajama pants), but something about making girly boutique clothing makes me giddy! This dress is no exception. It’s not a straightforward pattern, it’s kind of a mish mash of two or three of my favorite patterns, but it’s super easy for even a beginner to tackle if they are willing to have the patience to tough it out. The top to your dress: This dress has an empire waistline. You can either grab a shirt (I don’t recommend a knit fabric…but if you feel comfortable working with knit, go for it) and cut it (Put the shirt on your child, an empire waistline is just below their chest area. Mark where you want the dress to begin and add a half inch seam allowance. Cut along the line.) OR you can use another pattern top that you like. I used the Simply Sweet Top pattern from Carla C on YouCanMakeThis.com. It has adorable ruffled straps and because they are elasticized, this dress can eventually become an empire waisted shirt to wear with jeans when Lizzie gets older! Fabric for skirt of dress. 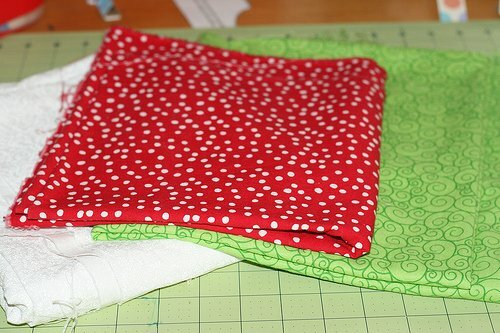 I recommend easy to sew cotton novelty fabrics. Serger (this is my serger) is optional, but once you learn to sew and want to sew a lot…you’ll want one! 1. First you need to figure out what size ruffles you will need. To do this, you’ll need to measure your child. Since this dress is empire waisted, you’ll measure just below your child’s chest. Measure from below chest (where you intend the shirt to stop and the skirt to start) to where you want the skirt to hit. I chose knee length. 2. Next you need to determine how much fabric you’ll need. I used the ruffle measurements from the Tiered Twirl Dress on YouCanMakeThis.com. You can either use ruffle measurements from another pattern, OR you can use this handy dandy ruffle calculator here! Where it asks for waist measurement, you’ll want to put the measurement you took from right below the chest. For length you’ll want to put the measurement you took for how long you want the dress to be. For tiers, I have 3 tiers to my skirt, so I would put 3. 3. 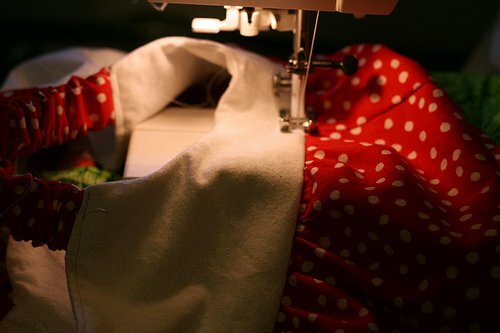 The first rule in sewing is that you begin with WASHED and DRIED fabric that has been IRONED. Wash your fabric as you intend to wash the garment. Do not skip ironing! I used some fun cotton prints for this dress. I found them on sale at JoAnn’s. It’s novelty fabric, but since it’s a little girl’s dress I’m not super concerned with heavy duty garment fabric. 4. Now you’ll want to cut your ruffle pieces. 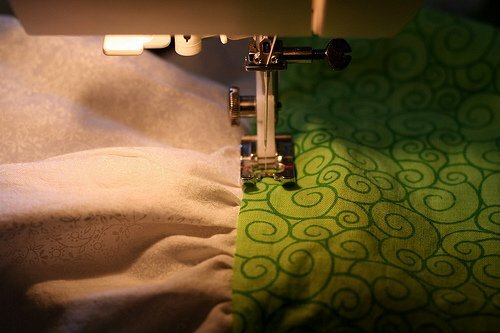 If your fabric isn’t long enough to cut the lengths you need, no problem you can just sew multiple lengths together. 5. I serged both sides of each ruffle piece. This keeps the fabric from unraveling in the dryer. 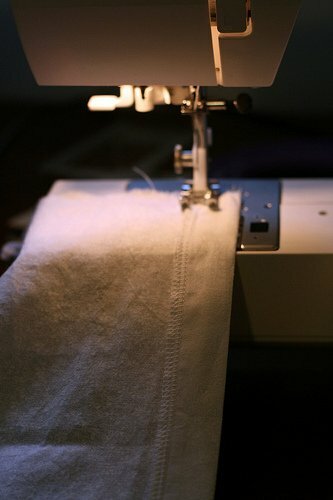 If you don’t own a serger (I own this one from Brother, it’s affordable and a total time saver. LOVE it! ), you can just try using your machines zig zag stich. Just make sure it catches the side of the fabric. 6. I start at the bottom and work my way up. Because I like to hem things FLAT, before I even make my first ruffle, I go ahead and add a half inch hem to the bottom tier. I just press the bottom of the bottom tier up 1/2 inch and top stitch. My hem. So much easier to work with when FLAT! 7. Next you are going to sew your bottom tier to your middle tier. Mark the middle of both pieces with a pin or a washable marker. Ruffles. They are in almost everything I make so I try to do them as painlessly as possible! 8. Now I sew a straight line across the top of my bottom tier (the side opposite the hem) about 1/4 inch from the edge. I make sure my tension is very low and my stitch length is long. I do NOT back stitch. When I take the fabric from the machine, I gently start pulling on the thread that came up through the bobbin. It should pull pretty easily. You’ll notice ruffles form. 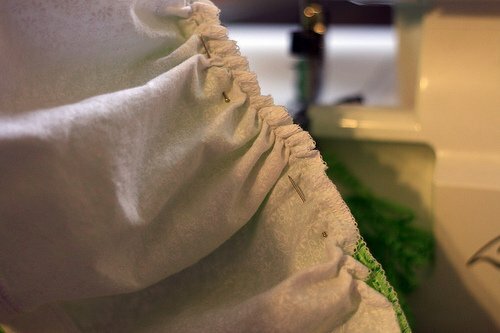 Continue to pull on the bobbin thread a bit from each side until your bottom tier is the same size as your middle tier and your ruffles are uniform. 9. Pin your bottom tier to your middle tier carefully with RIGHT SIDES of fabric facing each other. 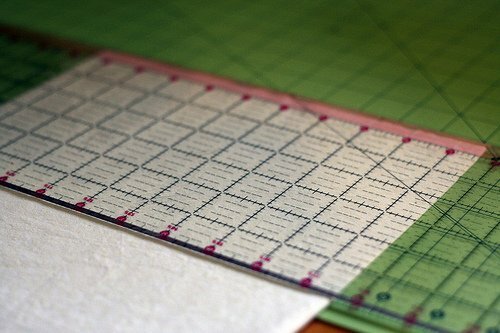 Go ahead and fix the tension and stitch length on your machine to a normal straight stitch. Now you can press the seam UP and top stitch the tiers together. You can’t see it here, but the green is unruffled and the white is ruffled to fit the green. I pin them together before I sew them together. 10. Repeat this exact process (steps 7-9) to join the middle tier to the top tier. Sewing sides of skirt together. 11. 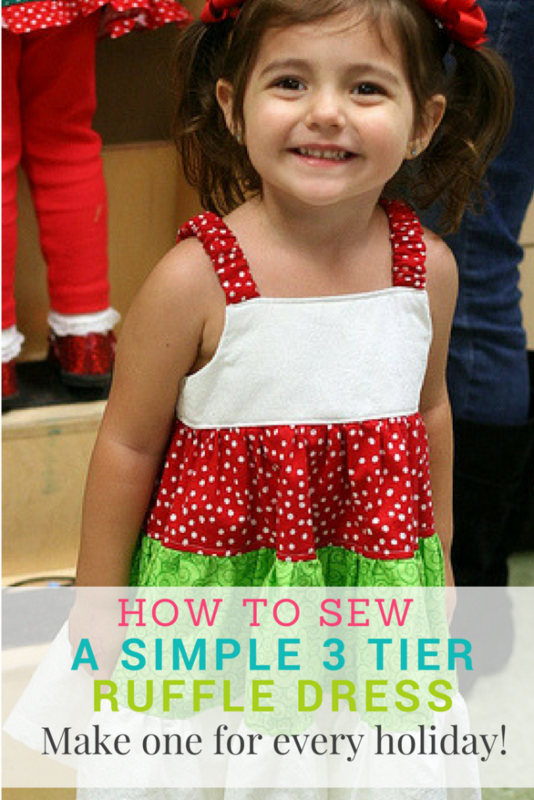 Now that you have all three tiers joined, you are ready to sew up the side. 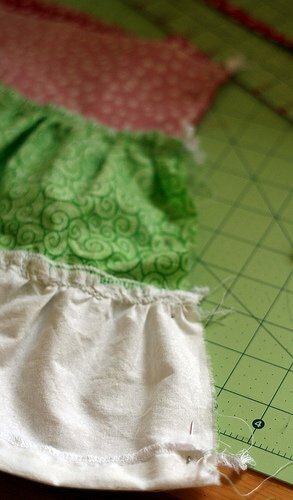 Join the raw edges of the skirt with right sides facing together. With a 1/2 inch seam, sew the two sides together (I serge the edges at this point as well). Now your skirt is formed. 12. Now you’ll need to get your dress top. Go ahead and grab it or make it according to pattern directions. 13. Mark the middle of the skirt AND the top on the back and front with a pin or washable marker. This is my princess in her Ruffled Tier Dress for her Christmas party! 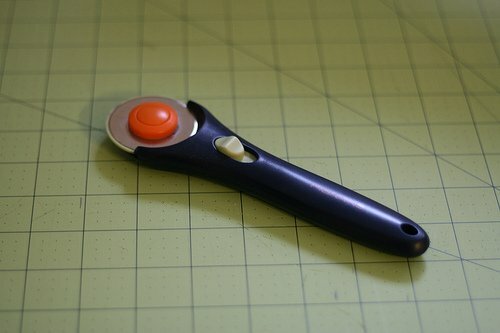 If you are a total newbie to sewing, I can’t recommend the projects over at YouCanMakeThis.com enough. The patterns are easy to understand, come in PDF format so you can use them over and over again, and are so much easier than tissue paper patterns! This is not a paid post. 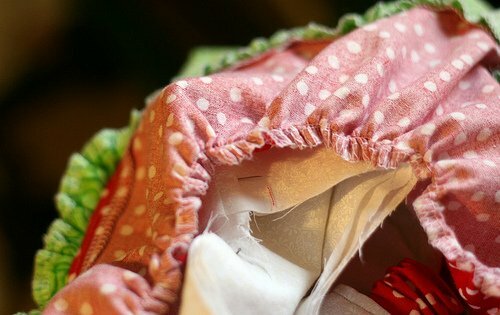 The YouCanMakeThis.com links are affiliate links so I might make a few pennies if you buy, but really I just have a GREAT desire for people to learn how to sew and this post was not made with compensation of any kind in mind at all! Do you have nieces 😉 ? 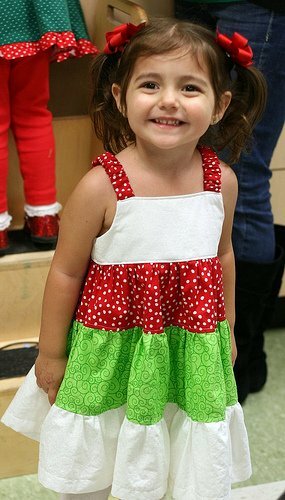 That is an ADORABLE dress – great job! Love this tutorial, thank you for doing it. I just love the material, and the little girl modelling it. Will be making it for sure. Too cute! I have nieces…and they are still young. I should do this! Yes you should! Have fun! This is a beautiful dress!! I do not sew, but my mother does, LOL!! I am definitely going to show this to her so she can make a few dresses like this for my 16 month old daughter!! Aww thank you! I appreciate the compliment so much! Do yu not recommend using the serger for the gathering? I have a Brother 1034d and do all of my ruffling and gathering with it. Would it work for this? Nice tutorial, going to try this one for my dear daughter. Thanks for sharing. Good job on your tutorial. The dress and your daughter are so cute. I love making these for my granddaughters. They grew out of the dresses so fast that I’ve been making skirts instead of dresses. I also made skirts out of the outgrown dresses by simply cutting off the skirt part and adding a casing and elastic. 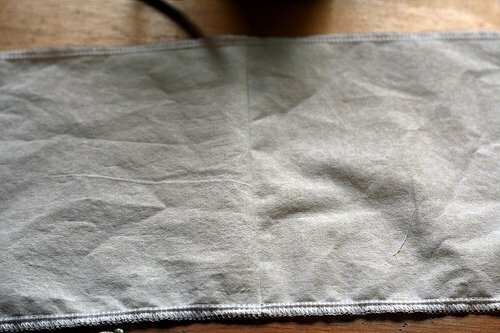 I use 1 width of the fabric (selvedge to selvedge) for the top tier, 2 for the 2nd and 4 for the 3rd. 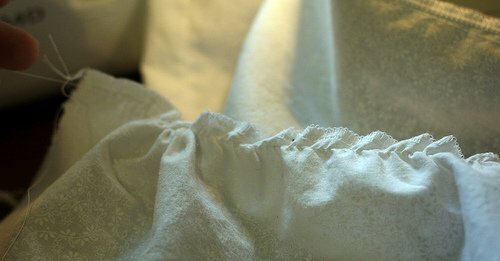 I leave the selvedges on so that the seams are finished and I serge after sewing the ruffle on. It’s a little messy during the process, but oh so neat after the serging is done. Now that is an AWESOME idea! I love it! I’m going to try it! Hi, I can’t read the tutorial because of the Hawaiian Punch ad. Is there a way to get rid of it? Super cute dress! My ad network was serving ads that were “takeover” ads. I’ve since disabled them. Sorry about that! Adorable dress. I’m planning on making matching dresses for my granddaughters, and I am wondering if anyone who had made this has left off the topstitching? I’m thinking I might like it without it. Any opinions? This is too cute! I like to sew too and I might try to make this for my daughter (for next year of course) Very cute. Thanks Kambrea! Let me know if you make it! Thanks for the tutorial! I can’t find the pattern for that adorable top though. Any help?